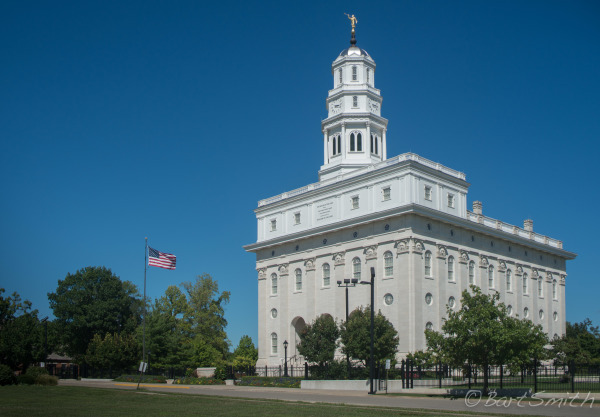 Nauvoo Illinois Temple, Church of the Latter Day Saints. 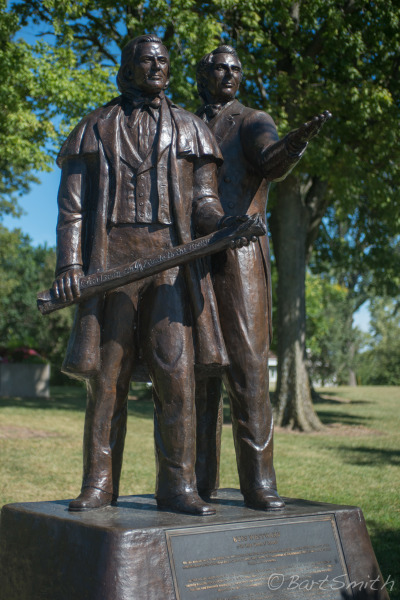 Nauvoo, Illinois. "Eyes westward" sculpture looking across the Mississippi. Nauvoo Historic Park, Nauvoo, Illinois. Mississippi river reflected in plexiglass covered painting memorializing the Mormons crossing of the Mississippi River. Mormon Memorial Park, near Montrose, Iowa. Mississippi River and Nauvoo Temple reflected in plexiglass covered painting memorializing the Mormons crossing of the Mississippi River. Mormon Memorial Park, near Montrose, Iowa. 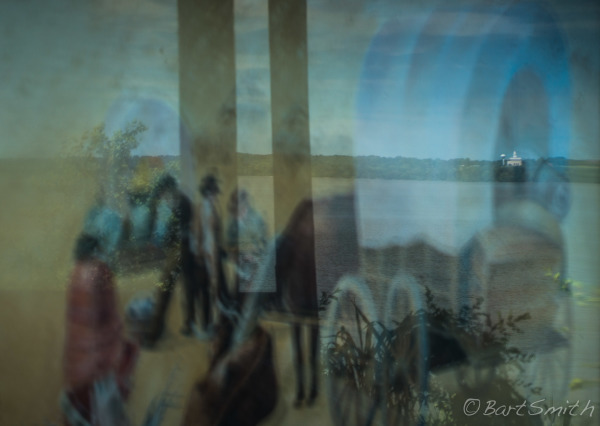 Nauvoo Temple reflected in plexiglass covered painting memorializing the Mormons crossing of the Mississippi River. 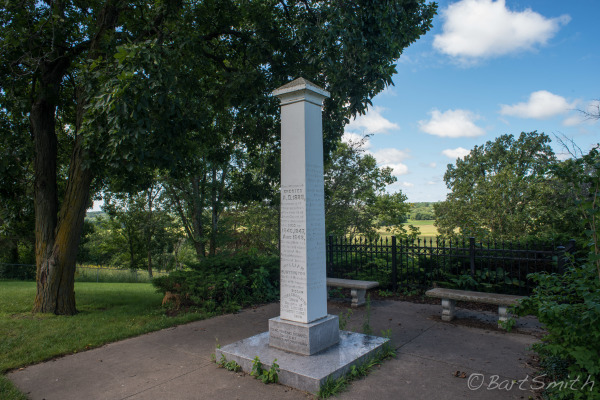 Mormon Memorial Park, near Montrose, Iowa. The Mississippi River from Linger Longer Park, near Montrose, Iowa. 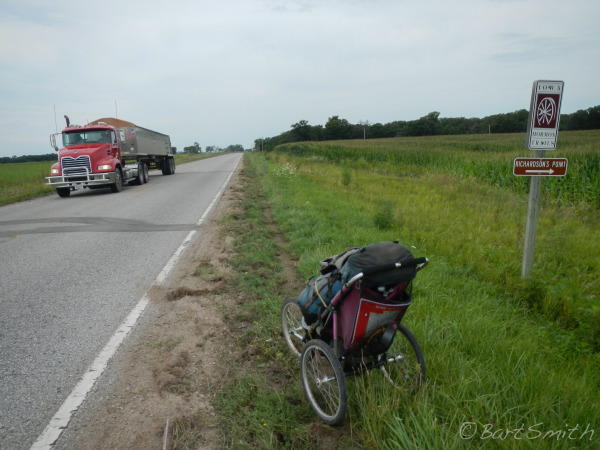 I couldn't linger too long as I was about to walk the Mormon Trail across Iowa into Nebraska and meet up with the Oregon Trail in Kearney Nebraska. Iowa countryside along road J40 a few miles west of Pittsburg Iowa. Sign designating the Mormon Trail and Richards Point. About 12 miles east of Bloomfield along Road J40. Richards Point. 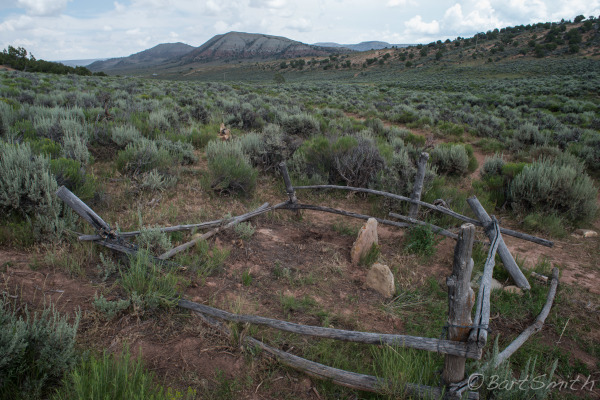 Burial site of Edwin Little and James Tanner both of the Mormon Vanguard group of 1846. Edwin Little was a nephew of Brigham Young. Richards Point is on private property but the owners allow visitation. 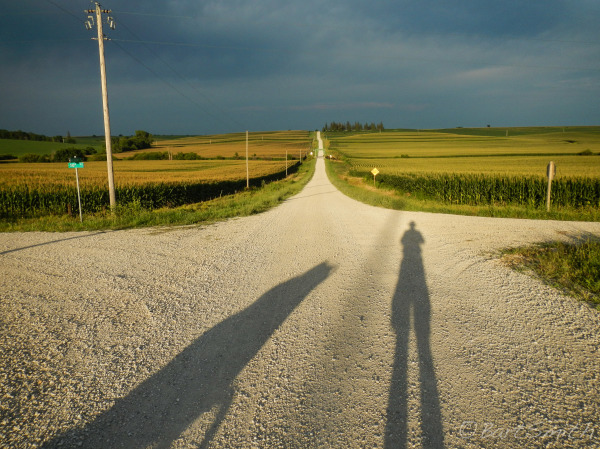 About 12 miles east of Bloomfield Iowa. 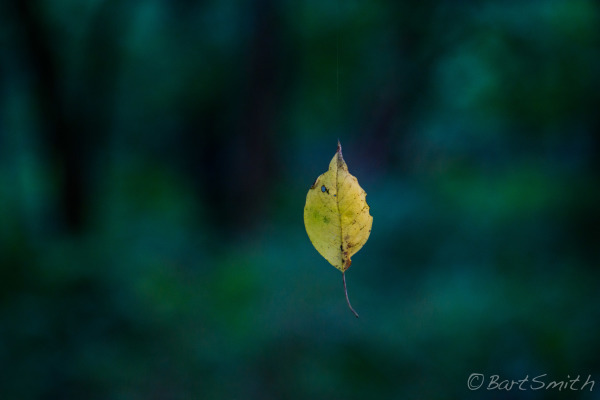 Leaf hanging from a spider web strand, Iowa. 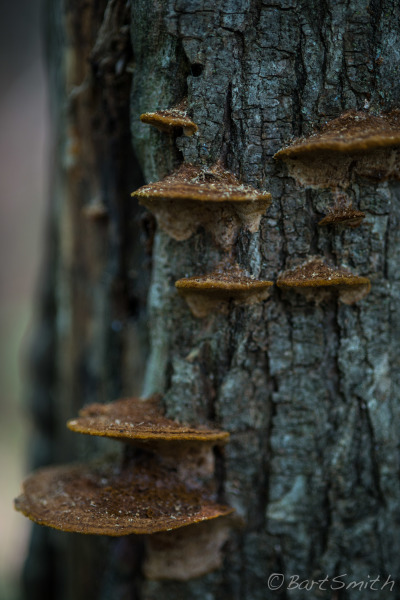 Scallop Fungi on tree beside the Des Moinse River near Bonaparte Iowa. 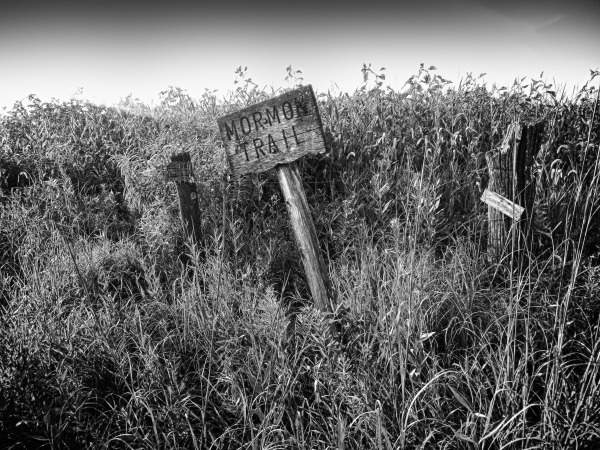 Sign designating the route of the Mormon Trail a few miles east of Garden Grove, Iowa. 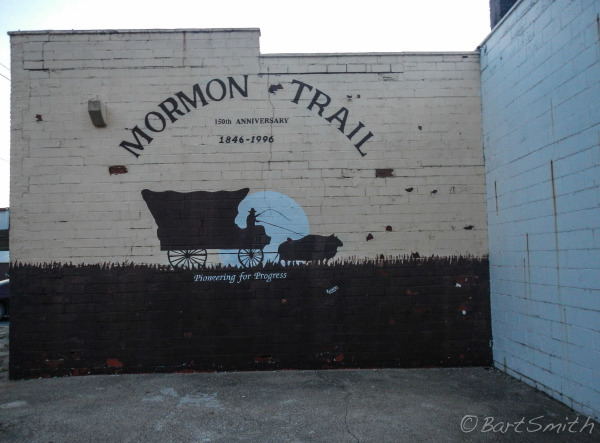 Mormon Trail mural, Garden Grove, Iowa. 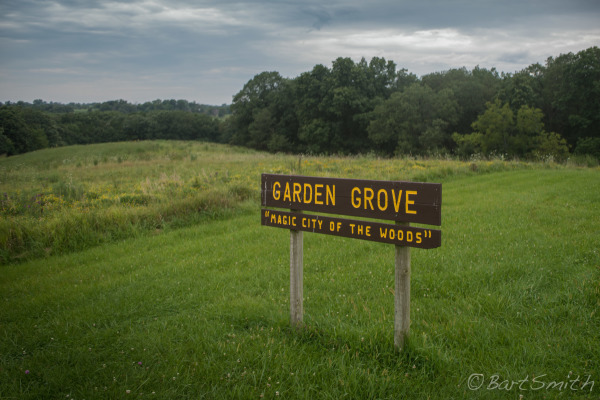 Garden Grove camp location. 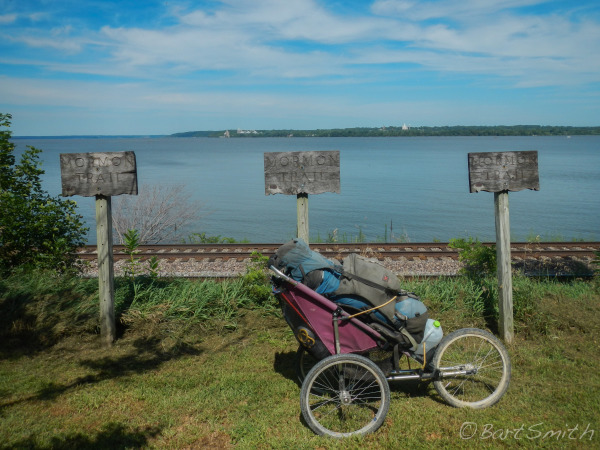 Mormon Historic Trailside Park near Garden Grove Iowa. Monument to the Mormons who died at Garden Grove camp. 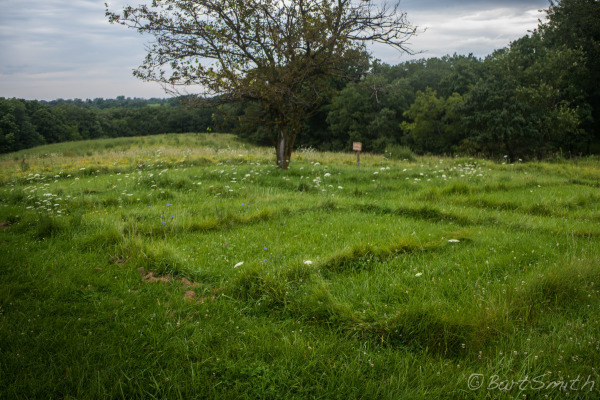 Mormon Historic Trailside Park near Garden Grove Iowa. Reconstructed cabin, Mt Pisgah County Park. Iowa. 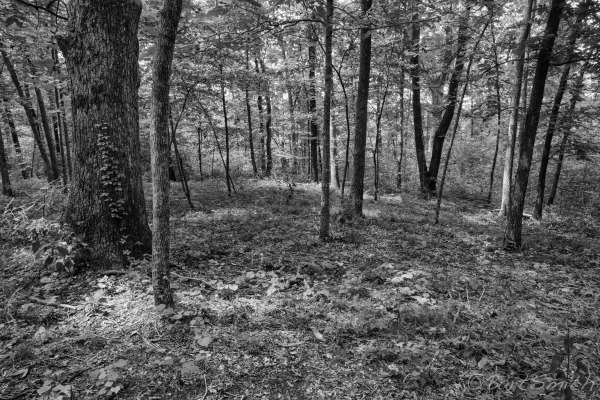 Mt Pisgah was an imprortant longterm camp location. 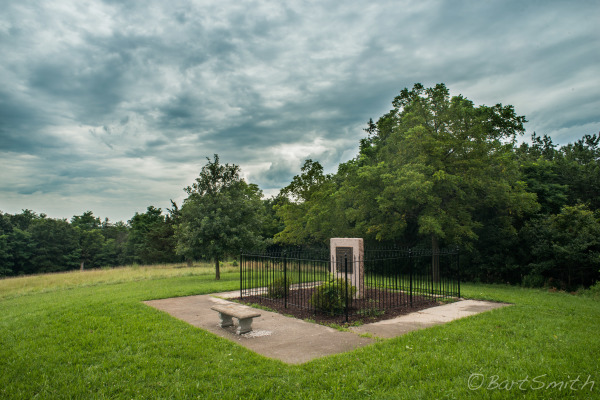 Memorial Oblisk at the Mt Pisgah Cemetery. Mt Pisgah County Park. 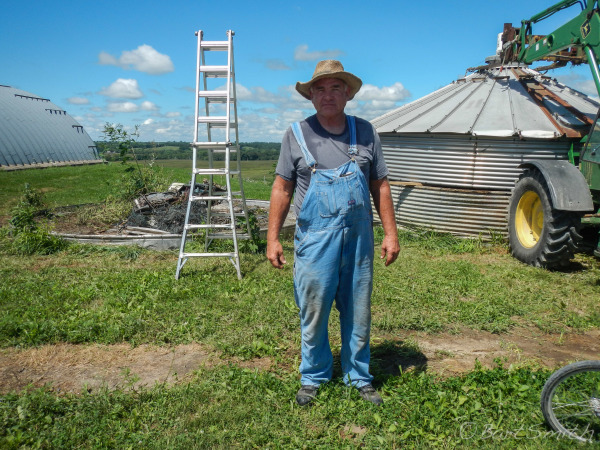 Iowa. 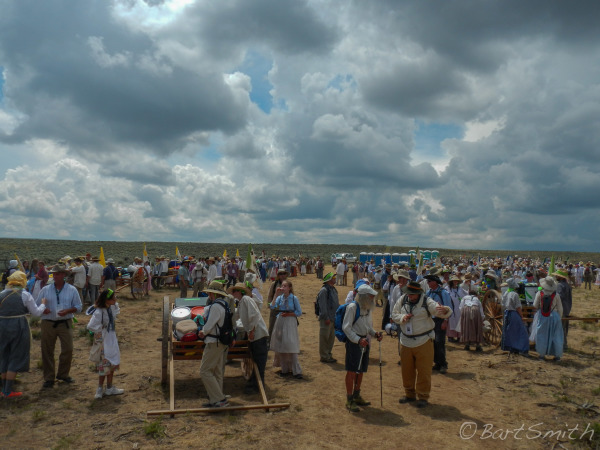 Mt Pisgah was an imprortant longterm camp location along the Mormon Trail. Bob Brown, property owner of Mt Pisgah County Park, amature archeologist and Mormon Trail supporter. 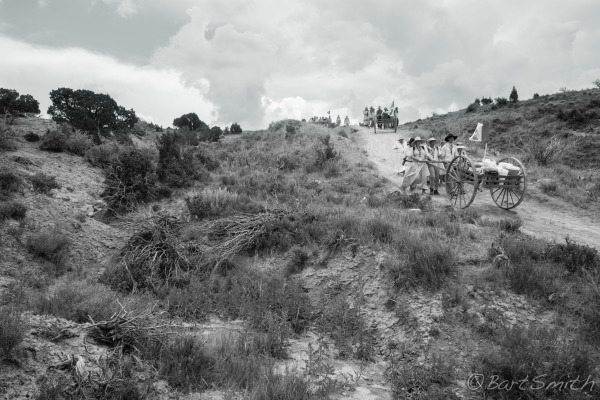 Mt Pisgah was an improtant longterm camp location along the Mormon Trail. 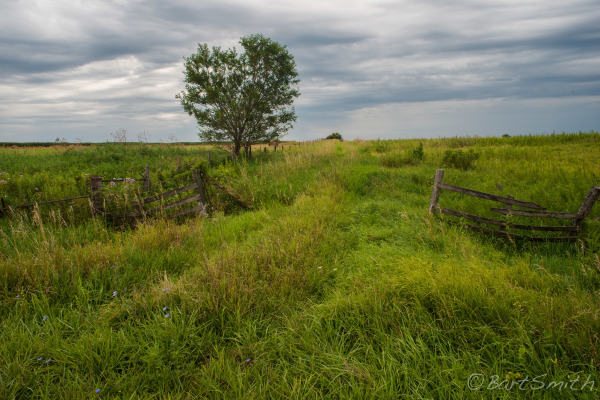 Along the Mormon Trail near Mormon Lake County Park east of Bridgwater, Iowa. Late afternoon sun from Mormon trail along Hackberry rd and M53. East of Oakland, Iowa. 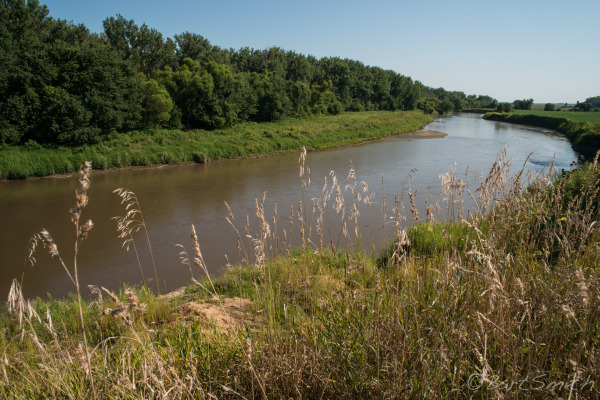 West branch of the East Nishnabotna River. West of Oakland, Iowa. 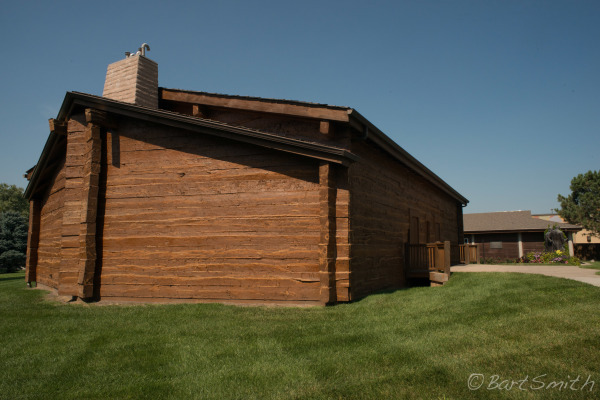 Reconstructed replica of the Kanesville Tabernacle. Council Bluffs, Iowa. 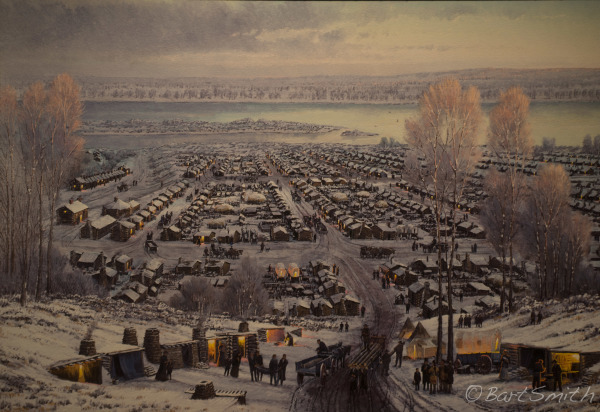 Painting depicting the Winter Quarters, from Mormon Trail Center at Historic Winter Quarters, Omaha, Nebraska. 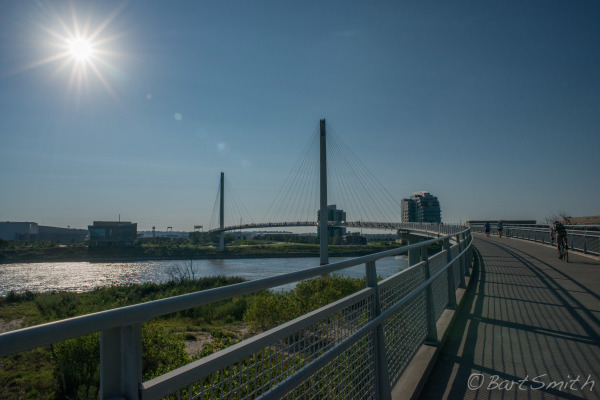 Pedestrian bridge connecting Council Bluffs and Omaha across the Missouri River. Rivers Edge Park, Council Bluffs Iowa. 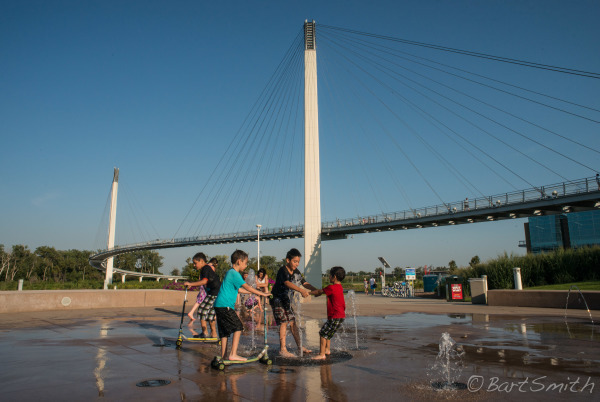 Kids playing in water park beside the pedestrian bridge connecting Council Bluffs with Omaha across the Missouri River. Omaha, Nebraska. 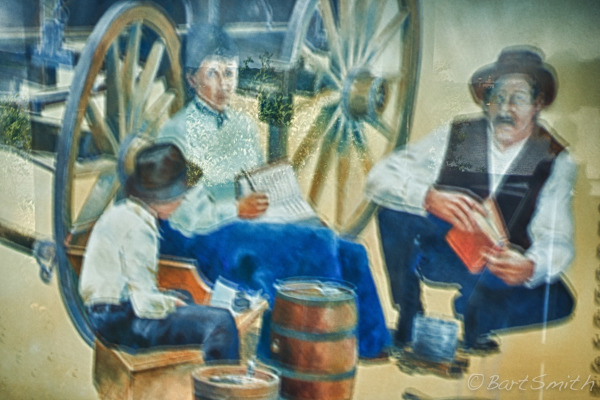 Family along the Mormon Trail, From Mormon Trail Center at Historic Winter Quarters, Omaha, Nebraska. 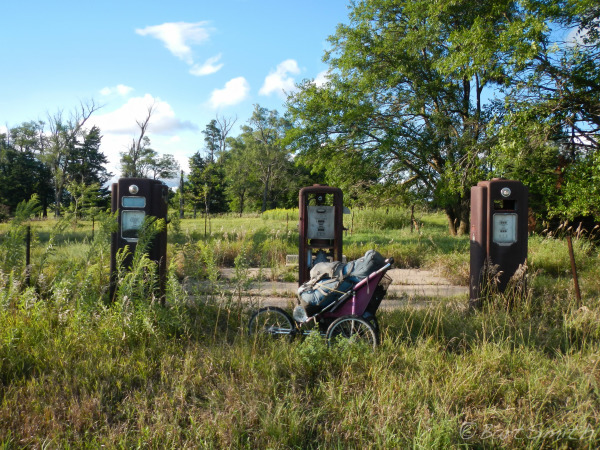 Gas pumps are all that is left of filling station, Nebraska. 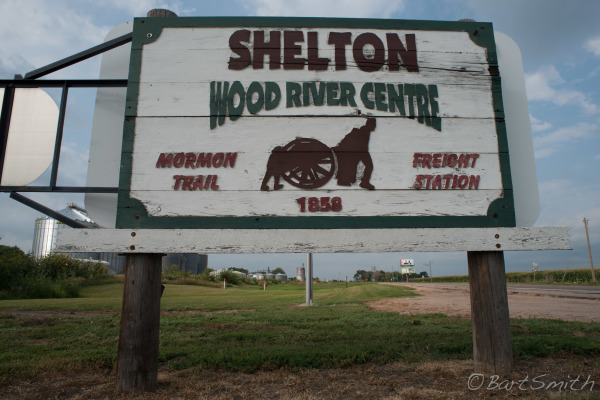 Along the Mormon Trail in Shelton Nebraska. 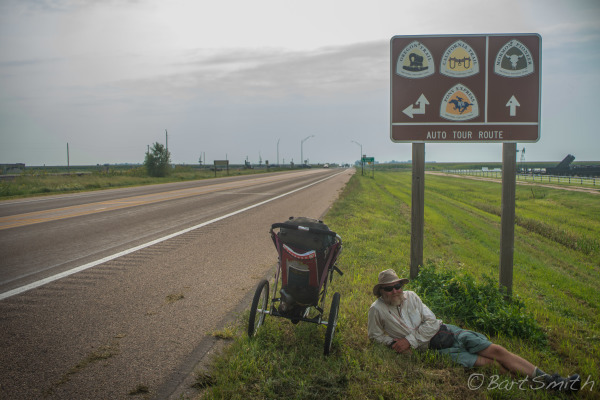 Myself along the Lincoln Highway near Kearney joining up with the three other trails that share the Platte river for almost 800 miles. 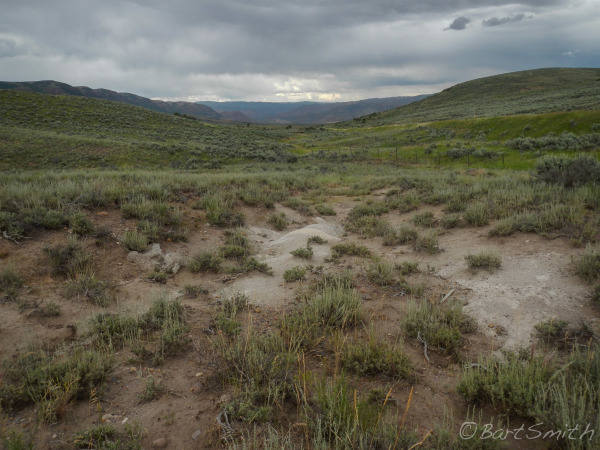 Geologic feature named Ancient Bluff Ruins by the Mormons who camped below them on the first journey to Utah. East of Broadwater Nebraska. 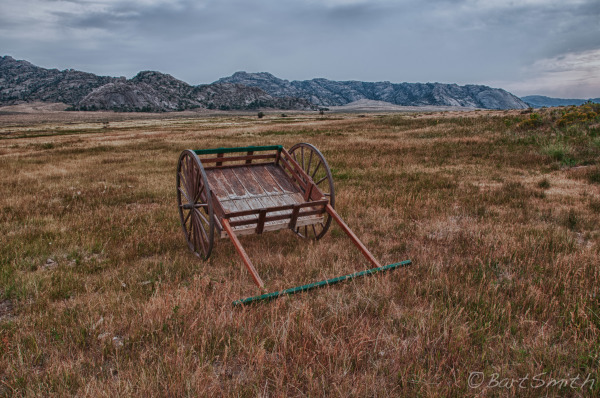 Mormon Handcart at Martin's Cove Wyoming. Entrance to the Willie Handcart historic site. 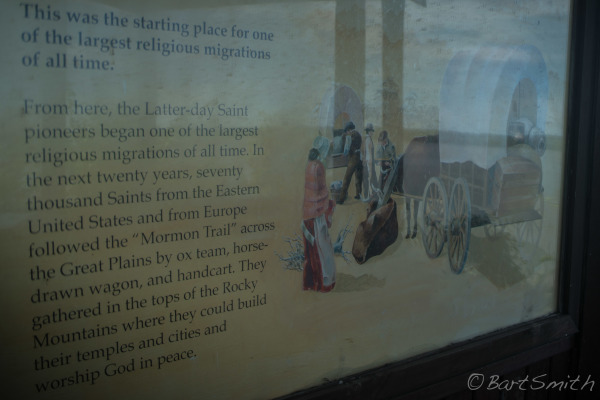 An important historic location to the Mormon migration. 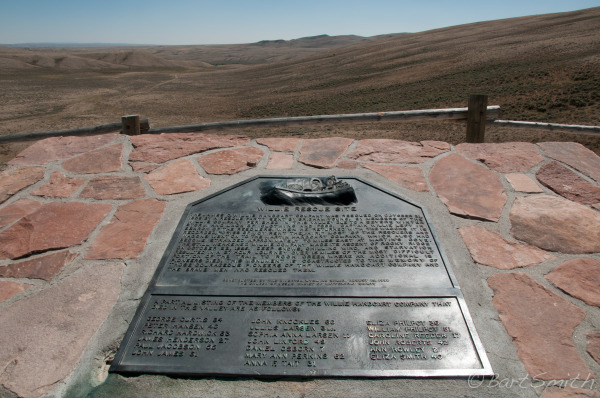 Monument desgnating location of the rescue of the Willie Handcart Company who were starving and freezing in bitter winds of an early winter storm in October of 1856. it is an important location to the Mormon migration to Salt Lake. 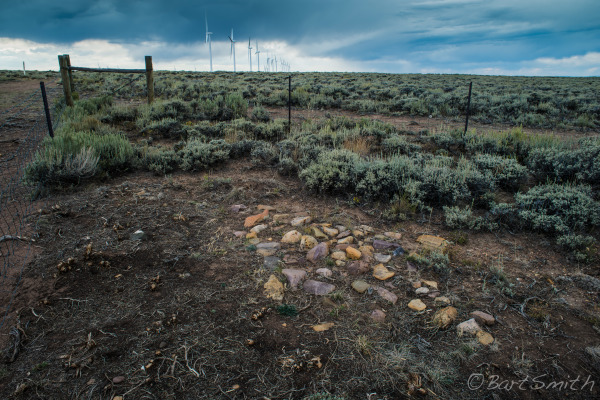 Memorial to the 15 members of the Willie handcart Company who passed away from hunger and exposer near this vicinity along Rock Creek Wyoming. 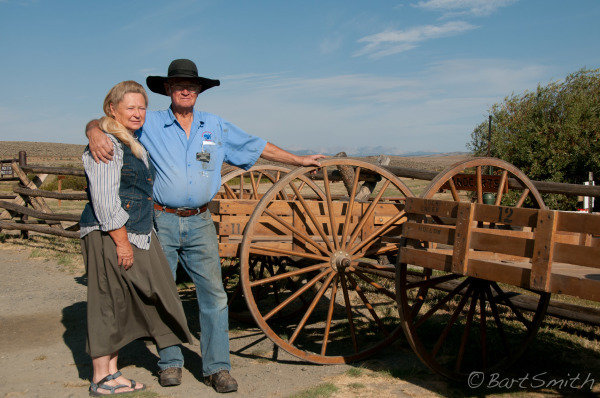 Richard and Connie Wakefield, a Husband and wife volunteers at the Rock Creek Camp which is operated by the Church of the Latter day Saints. They cooked me up both dinner and a breakfast. (a very nice couple). 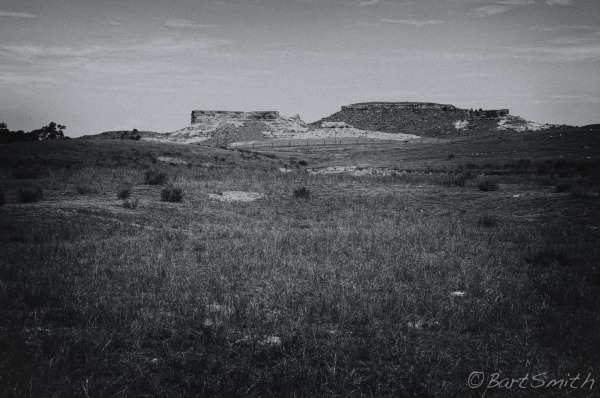 Rocks forming an arrow along the Mormon Trail west of Fort Bridger. 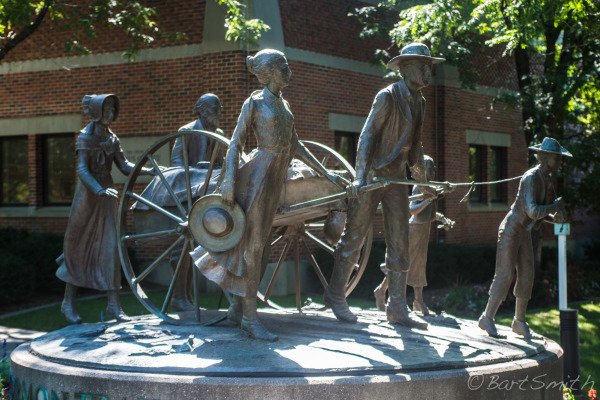 Many Mormons believe Brigham Young placed the arrow to direct those who were to follow. Wyoming. Mormon Trail heading west. 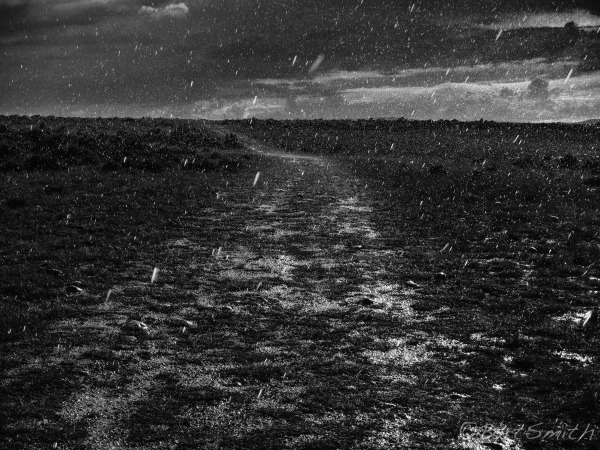 West of road 207. We were given permission to cross this private property. 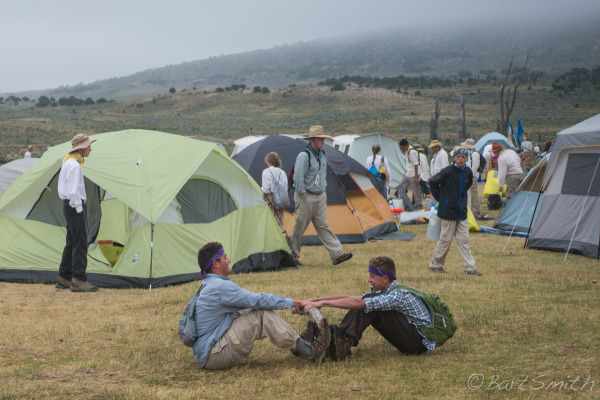 Mormon Pioneer Youth Trek camp awakening to the day, near the location Muddy Creek Campground used by the original pioneers. Near Piedmont Wyoming. 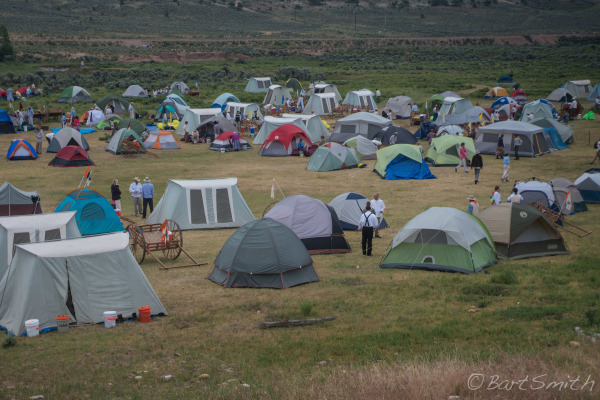 Mormon Pioneer Youth Trek camp lined up for breakfast. 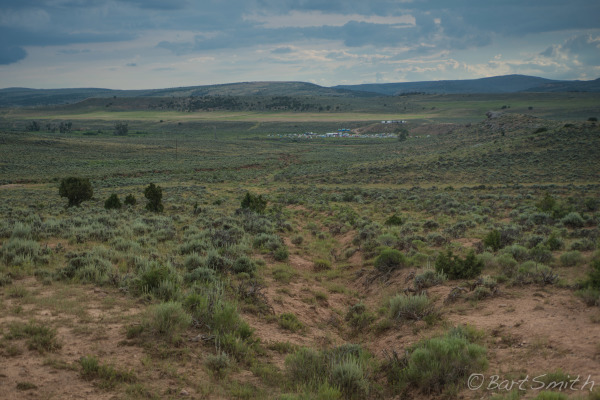 Near the location Muddy Creek Campground used by the original pioneers. Near Piedmont Wyoming. 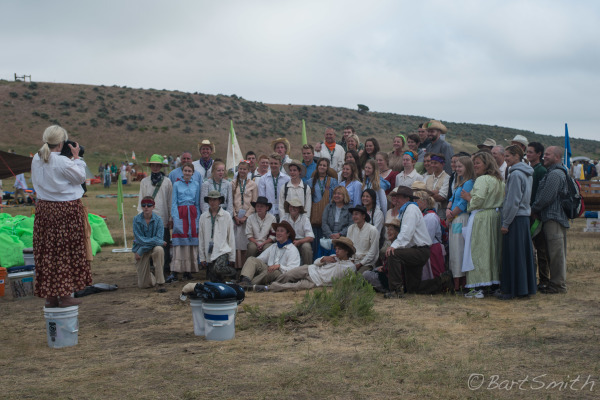 Mormon Pioneer Youth Trek camp group photo, near the location Muddy Creek Campground used by the original pioneers. 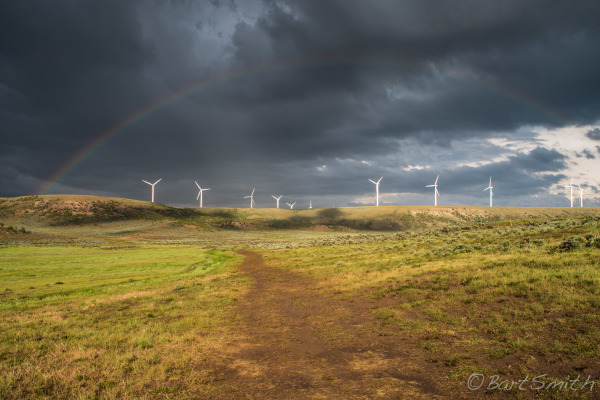 Near Piedmont Wyoming. 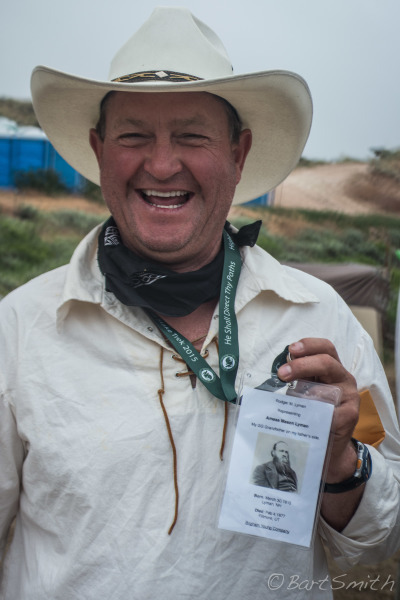 Mormon Pioneer Youth Trek camp. Showing photo of an ancestor who traveled the trail in the 1840s, near the location Muddy Creek Campground used by the original pioneers. Near Piedmont Wyoming. 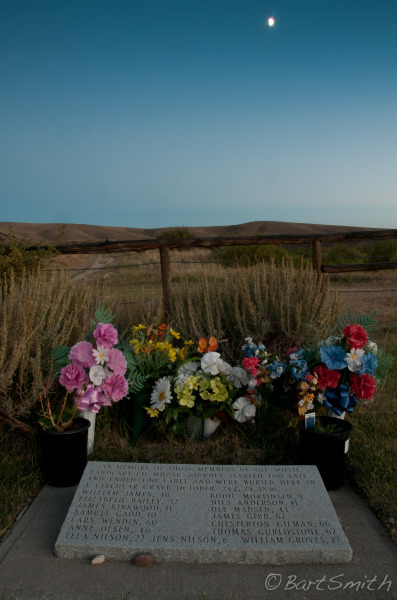 Mormon Pioneer Trek group honoring the gravesites near Muddy Creek Campground. Wyoming. Mormon Pioneer Trek youth groups retracing the Mormon Trail beside Muddy Creek, Wyoming. 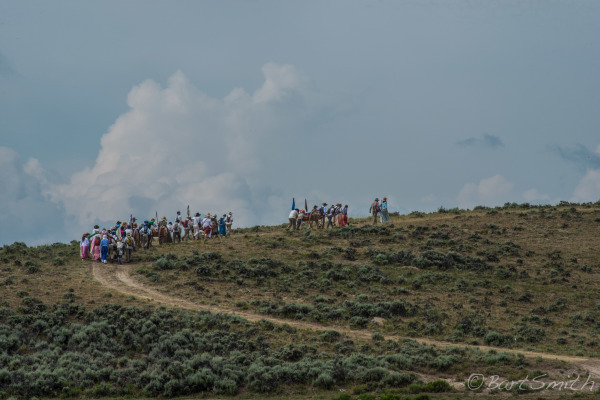 Mormon Pioneer Trek youth groups retracing the Mormon Trail west of Muddy Creek, Wyoming. Mormon Pioneer Trek youth groups retracing the Mormon Trail descending a steep section of original Mormon Trail trace. 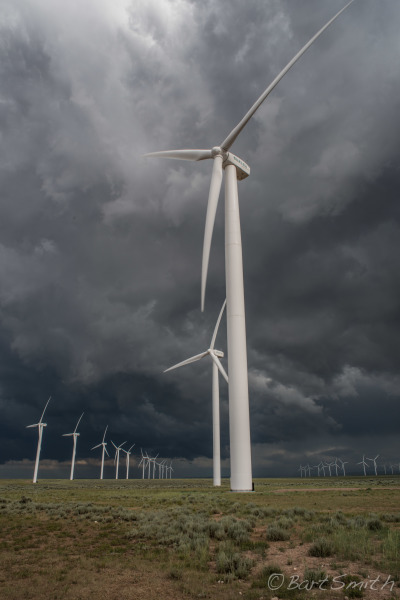 Near Piedmont, Wyoming. Mormon Pioneer Trek youth groups retracing the Mormon Trail, Wyoming. Inscription of Philo Dibble Jr Nov, 24 1857. He wrote this while being chased by The U.S. Army. Wyoming. 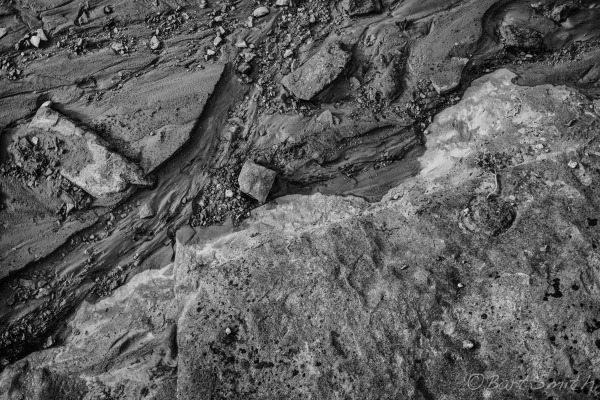 The cut in the sandstone was caused by wagon wheels. 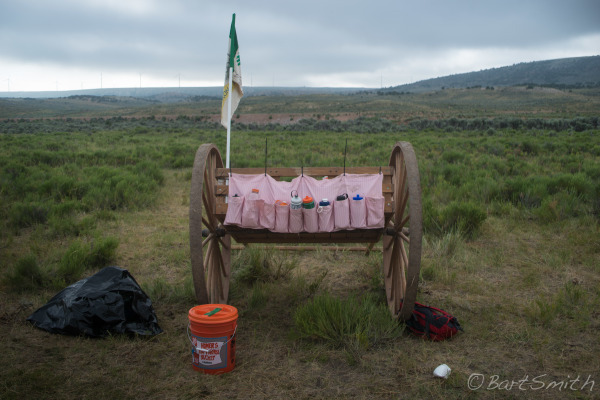 Mormon/California Trail near Piedmont, Wyoming. 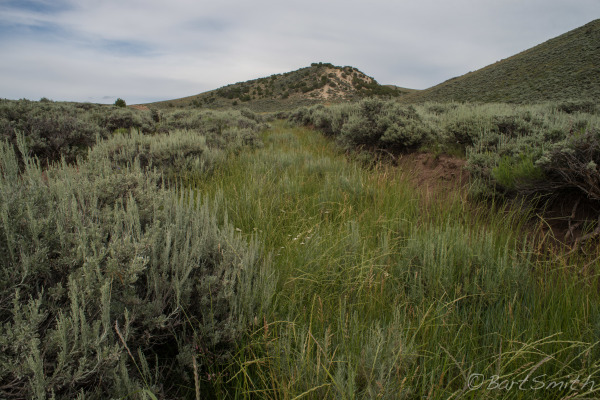 Grass growing in swale of the Mormon Trail. 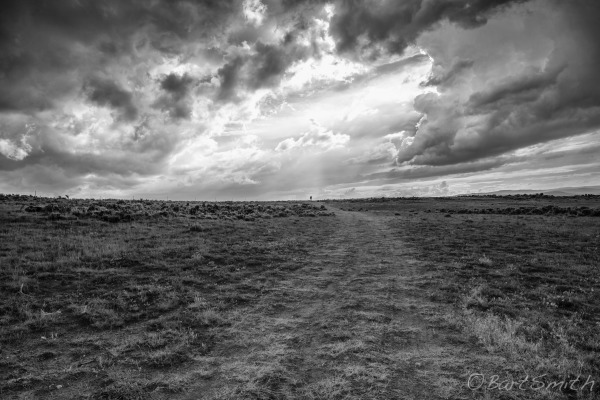 Near Sulphur Creek Reservoir, Wyoming. 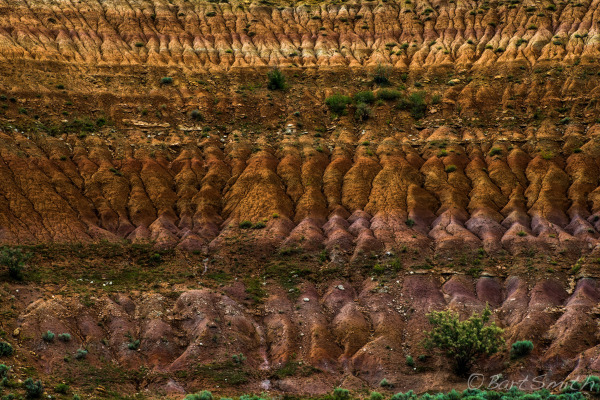 Eroded hillside from Mormon Trail (beside Interstate-80) in upper Echo Canyon, Utah. 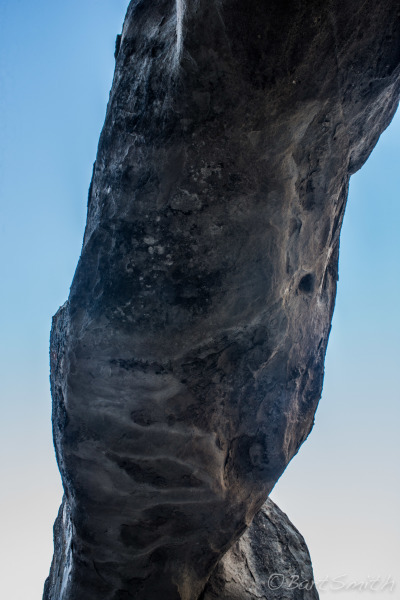 Geologic feature known as "Hanging Rock" by the Mormons, Emigrants and Pony Express riders. Echo Valley, Utah. 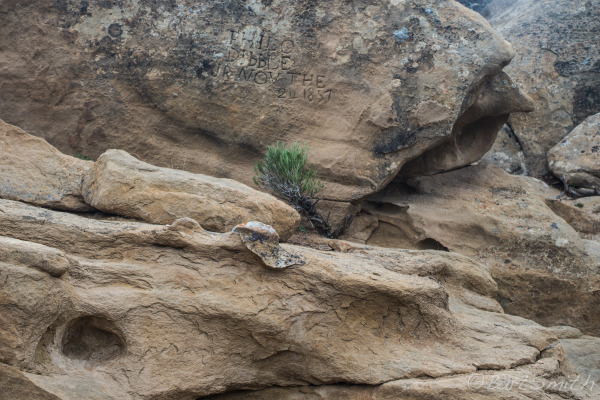 These eroded Hoodoos were commented in the journals of the Mormon Exploratory party of 1847. 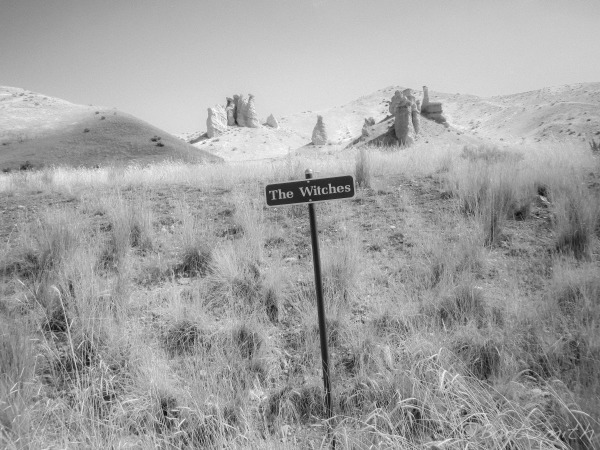 Today they are known as "The Witches". 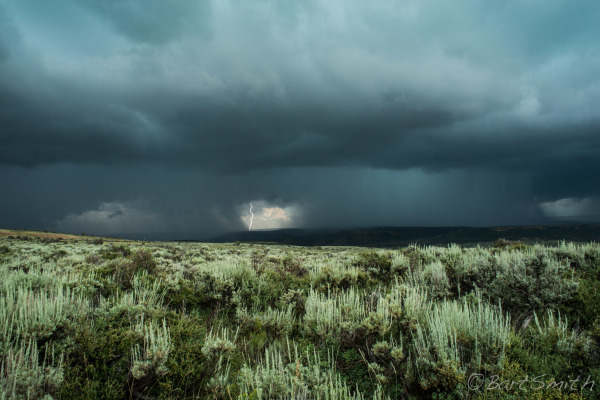 Near Henefer, Utah. 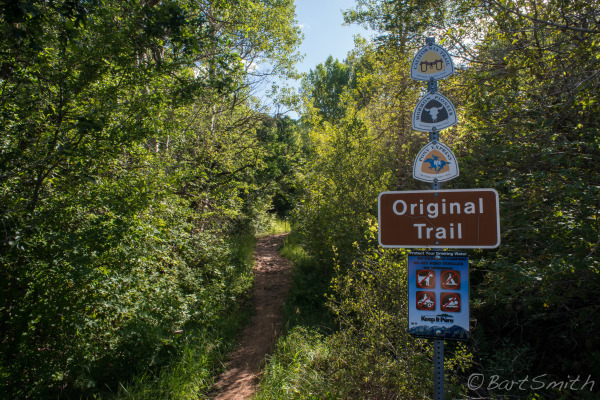 Original Trace of Mormon trail near Hogsback Pass, utah. 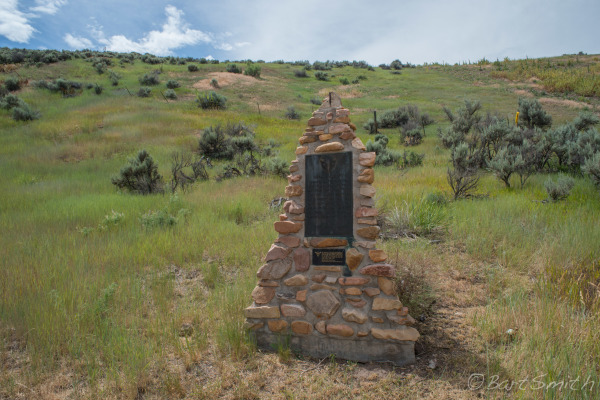 Broad Hollow Monument along HW 65 at location where the Donner Party was forced to ascended steep hill in order to avoid thick brush. Near East Canyon Reservoir, Utah. 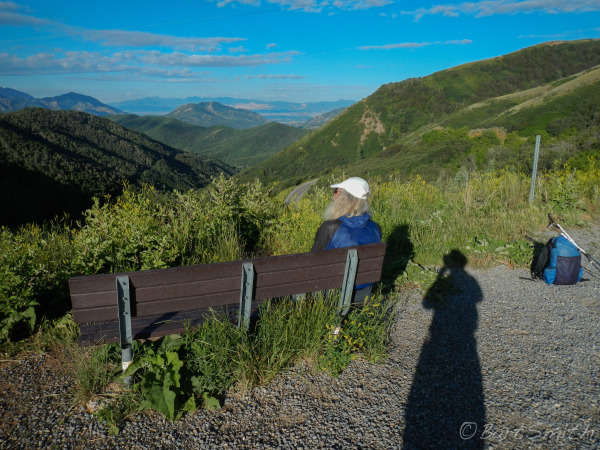 View west from Big Mountain Pass, location where the Mormons first glimpsed the Great Salt Lake Valley, Wasatch Mountains, Utah. Original route of the California, Mormon and Pony Express Trails. On the West side of Big Mountain Pass, Utah. 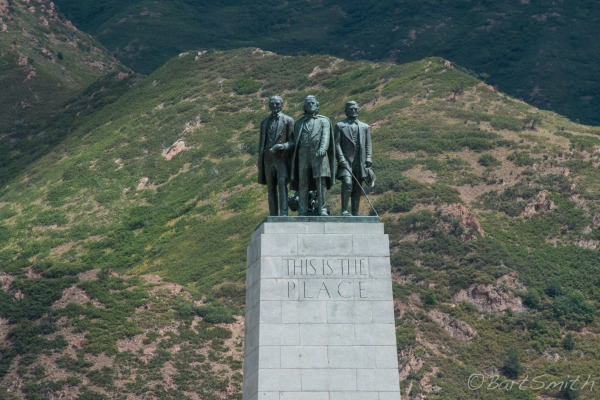 Monument and sculpture honoring the 1847 Mormon Pioneers led by Brigham Young who determined "This is the Place" to put down their roots. At "This is the Place" Heritage Park. Salt Lake City, Utah. 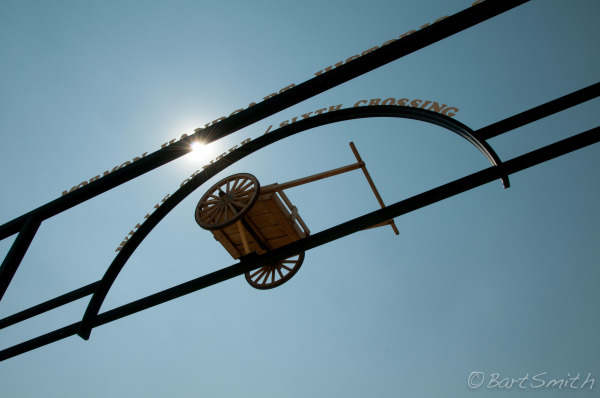 The western terminus of the Mormon Trail. 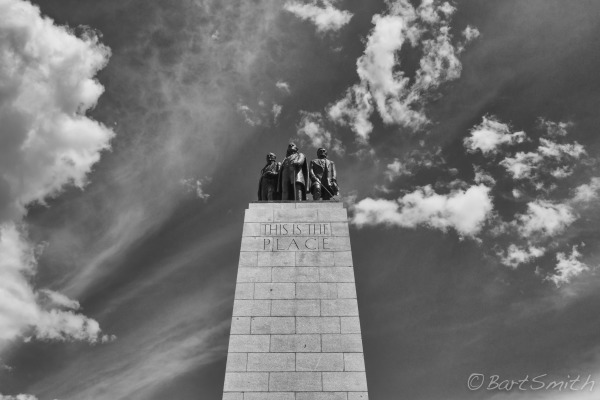 Monument and sculpture honoring the Mormon Battalion at "This is the Place" Heritage Park. Salt Lake City, Utah. 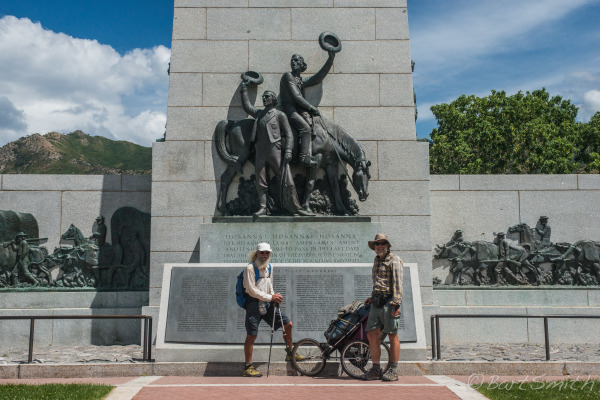 Nimblewill Nomad and myself at the Monument and sculpture honoring the 1847 Mormon Pioneers led by Brigham Young who determined "This is the Place" to put down their roots. At "This is the Place" Heritage Park. Salt Lake City, Utah. The western terminus of the Mormon Trail. 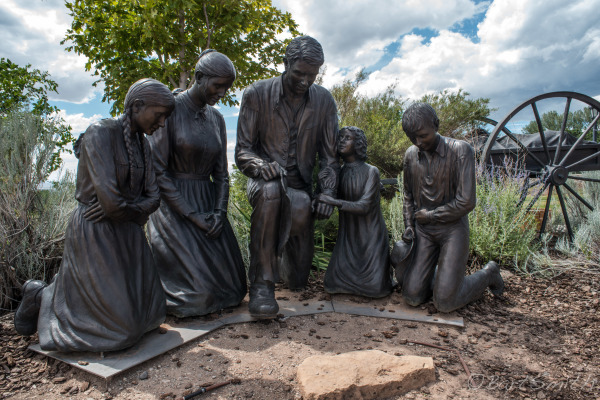 Monument and sculpture honoring the the families who walked the Mormon Trail to settle Zion, the greater Salt Lake Valley At "This is the Place" Heritage Park. Salt Lake City, Utah. The western terminus of the Mormon Trail. 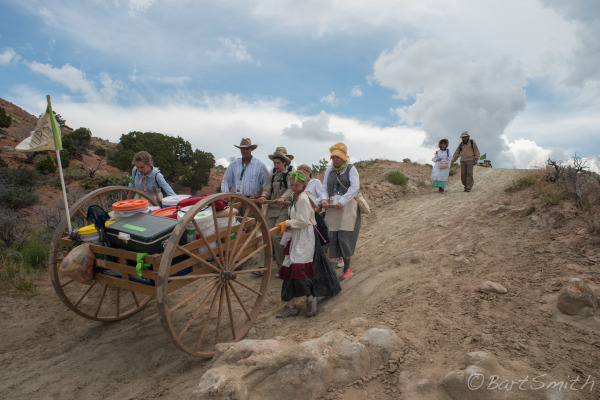 Considered one of the most highly organized expeditions in U.S. history, the Mormon migration symbolizes courage and hope. 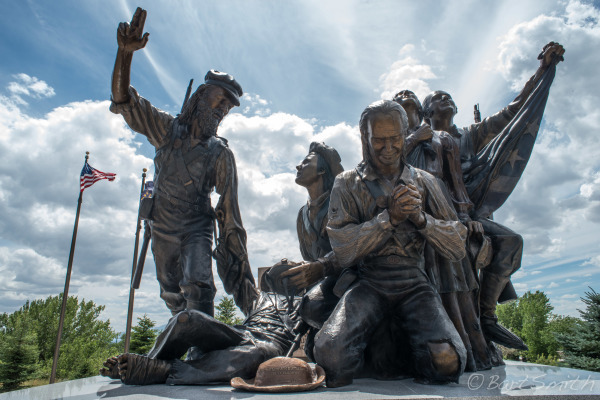 It memorializes the exodus of the Mormons from Nauvoo, Illinois, west to the Great Salt Lake basin in 1846-7. 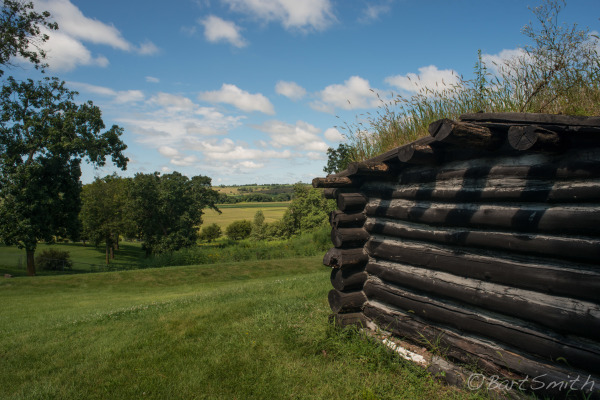 In the mid-1840s, on the banks of the Mississippi River at Nauvoo, the Mormon Church established its temple and community. 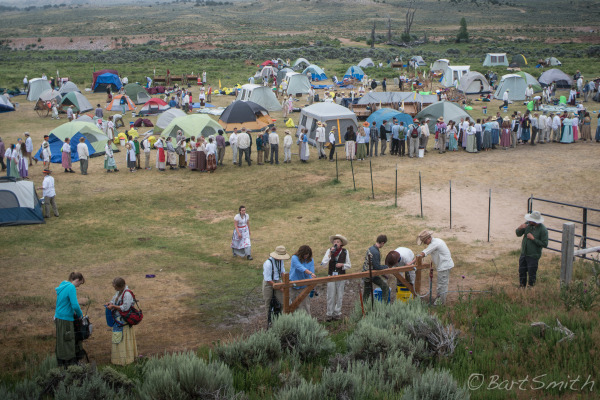 However, nearby residents became enraged at the Mormons' presence and an angry mob murdered Mormon leader Joseph Smith. 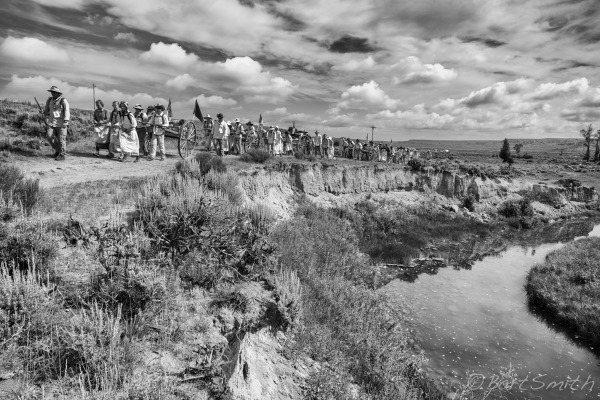 When Brigham Young was elected their new leader and they faced increasing persecution, most of the Mormon population embarked upon a highly organized migration west. 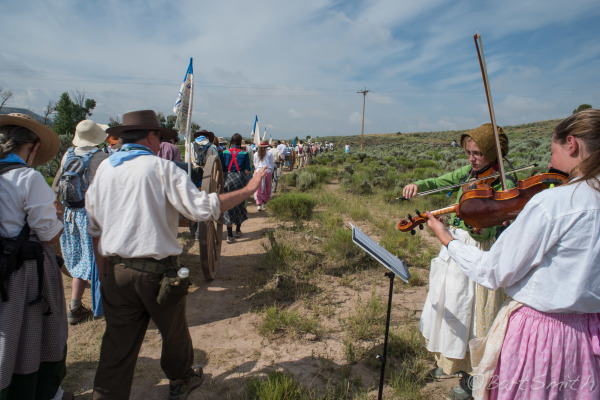 Upon reaching their destination near the Great Salt Lake and setting up an independent communtiy, church members traveled east again to guide other converts to their new refuge. 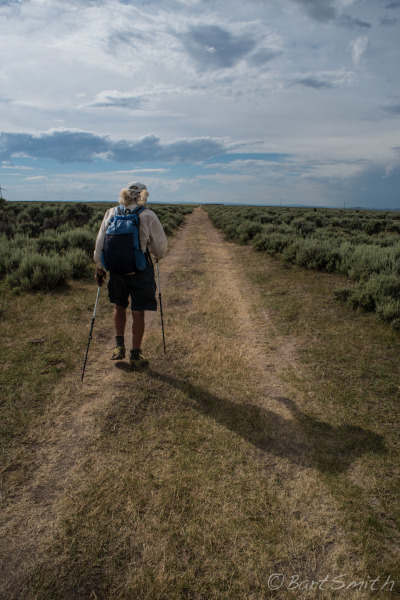 In the 1970s, when it was announced that the federal government would be conducting studies on potential national trails, floods of letters were sent to the BOR proposing a Mormon Trail. Congressman Frank Moss from Iowa gave the measure his full support and frequently contacted BOR officials about the matter. 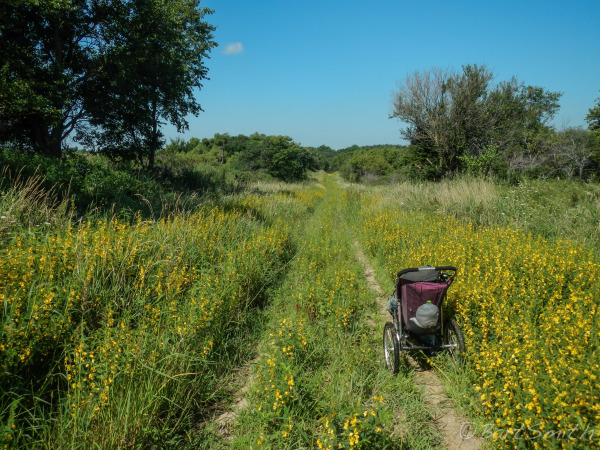 Today this trail is administered by the National Park Service with assistance from the Mormon Trail association and the Iowa Mormon Trails Association.